How Long Will It Take To See A Credit Score Improvement After An Error Is Resolved? 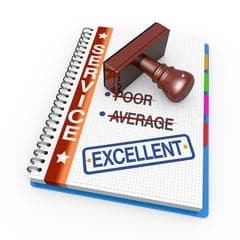 Most experts recommend that you take advantage of your free yearly credit report, which you can obtain at the Annual Credit Report website, an FTC authorized site. Obtaining an annual credit report will allow you to check for identity theft as well as ensuring that the information on your credit report is accurate. If your credit report contains inaccurate or outdated information, it may negatively affect your credit score. This can make it harder to get loans, obtain loans with favorable terms or even get certain types of jobs. 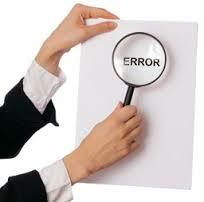 Should you discover that there are errors on your credit report, there is a system in place for disputing errors. How Long Will It Take To See A Credit Score Improvement? Very generally speaking, resolving an issue on your credit report and seeing a bump in your score takes between 30 and 90 days. This is because most reports and updates are run on a monthly basis, and creditors and credit reporting agencies are normally given 30 days to investigate and resolve potential discrepancies. When you first submit a request to have an inaccuracy on your credit report looked into by a credit reporting agency, they are given 30 days to investigate the issue. In some cases, such as when additional information is needed to verify a claim, they may be given 45 days. If the credit reporting agency deems the request frivolous, they do not have to complete an investigation. The credit reporting agency will request that the creditor verify that the information on your credit report is accurate and that the creditor was in error. If the creditor determines that there was a mistake, the creditor is obligated to report the new and accurate information to all three credit reporting agencies. Creditors normally have 30 days to do this. Assuming that it took 30 days for the credit reporting agency to investigate and another 30 days for a creditor to report the errors, you may be waiting yet another 30 days to see an improvement on your credit score. This is because most credit reporting sites also update your credit report once every 30 days. While it’s always good to have completely accurate information on your credit report, not all errors affect your credit score one way or the other. Additionally, there are certain types of errors that only relate to details and not whether you owe a lender money or were late on a payment. For example, if you owe a creditor money but they list your account number incorrectly on your credit report, correcting the error won’t help your credit rating. The error may be removed from your report, but within 30 days, the correct debt and correct account number will be added, so you will have made your report more accurate without doing anything for your score. The types of mistakes that can help your credit rating if they are fixed include inaccurately reported debts, accounts that are not in your name or your responsibility and reports of late payments that were actually made on time. Additionally, certain types of information should automatically be removed from your report after a particular amount of time has passed. For instance, bankruptcies are normally supposed to be removed from your credit report after 10 years. 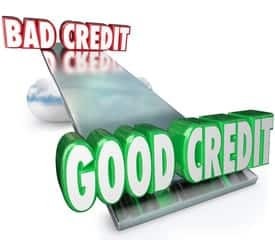 If you do discover that there is a mistake on your credit report, you should send a request, in writing, to both the creditor and the credit reporting agency. While you can dispute errors with online forms, sending a letter creates a paper trail that can be used if the error resolution exceeds the allowed 30-day time frame. Your letters should contain specific information about what data you are disputing, including the date, the amount and the creditor in question. You should also send copies of any relevant documentation you have, such as canceled checks or proof of payments. Once your dispute has been processed, the credit reporting agency is required to send you documents related to their investigation of the error. If the error was corrected, you are entitled to a free copy of your credit report that does not count as your free yearly report.